Listen to the corresponding podcast episode here! The college experience is a rollercoaster, but for most, there is an end in sight. What do you do when you graduate? Hopefully, land a full-time job or work full-time for yourself. The first year (or two) is crucial in determining where to from here. Many changes occur as full-on adulthood settles in. The Transitioning to Adulthood series talks about those changes and how to approach them head on! 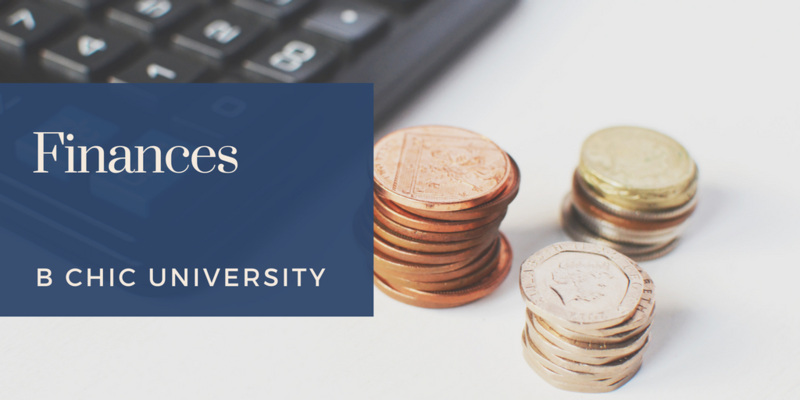 We’re still on the topic of finances with transitioning after college. Last blog post (podcast episode) discussed differences in financial obligations. But what about the strategies to put this all into perspective and into your budget? That’s what we’ll talk about here. I call it living with a “balanced budget”. We’ll talk about managing expenses, spending and saving without stress. That’s the goal and here’s how you achieve it. That should be the financial management goal, finding freedom in your money because your disciple has paid off. Here’s how. We all have needs and wants in our financial obligations, but prioritizing them is key. A need would be something that you have to pay regularly to live such as housing, groceries, and basic clothing. I would consider a want things that provide entertainment that can be dispensable. This includes streaming services, a gym membership, or restaurant dining. Why should you know the difference? Because when finances get tight, you need to know what truly counts and is not negotiable. This is the first step is reaching budgeting stability. A spending sweet spot is the amount of money you’re able to splurge without affecting your obligatory expenses and depleting your spending. I would consider visits to my professional stylist as a splurge since I can do my own hair at home. But every few checks, I set aside money to go to my professional loctician. The money I spend and what’s left over is my spending sweet spot. Having a spending sweet spot gives you a bit more freedom and makes budgeting less strict. It allows you to spend freely while maintaining a balanced budget. It’s the responsible way to ball out! This concept is simple. Always be on the hunt for a better deal. Also, you want to think twice before splurging. A frugal mindset is a responsible mindset. You want to have the discipline to stay within budget at all times. This frugal mindset is a loose concept. You have the freedom to do what you want with your money all the time! But what are your future goals? Would reckless spending today jeopardize your opportunities down the line? As a freshman in college, I signed up for my first store credit card with Victoria’s Secret. It was a great responsibility and opportunity. I didn’t consider the responsibility and maxed out my card within a few years. It took me so long to pay it off. If I only I had maintained a frugal mindset, I would’ve avoided the wasted money on interest payments and lost opportunities to save or spend on other items. A frugal mindset will save your future financial stability. Things are always changing and that includes money. So keep up with the times and don’t get bamboozled. I recently shopped around for car insurance and my lowest rate was a $70 difference from the highest quote! And since car insurance contracts last 6 months at a time in Wisconsin, I can shop around for an even lower rate. This can apply to you and your budget as well, in many areas! There are always lower interest rates, discount codes, and such that can be applied to your expenses. Zero Based Budgeting: this is where you assign all of your incoming funds to a category so there’s no room for overspending. Extra income can go towards spending or savings! 50/20/30 Rule: Strive for all of your fixed expenses to fall into the 50% range, debt and investing at or under 20%, and “fun” items within 30%. The goal is to stay within these percentages or less. Simple budgeting: pay off your fixed and flexible spending right away on payday. The rest is split between spending and saving. It’s as simple as that. Compound these with the strategies above and you’ll feel more balanced with your money. Hear more on this topic at the B Chic University Podcast: Transitioning Finances, Part 2.